The start of each season always excites me, racing is my favourite part of the process of being an athlete. I’m always the most nervous for the opening race; usually it’s a small triathlon or the Duathlon National Champs, which is a nice way to ease into the season. But this year I was starting the season across the sea in Quarteira, Portugal. 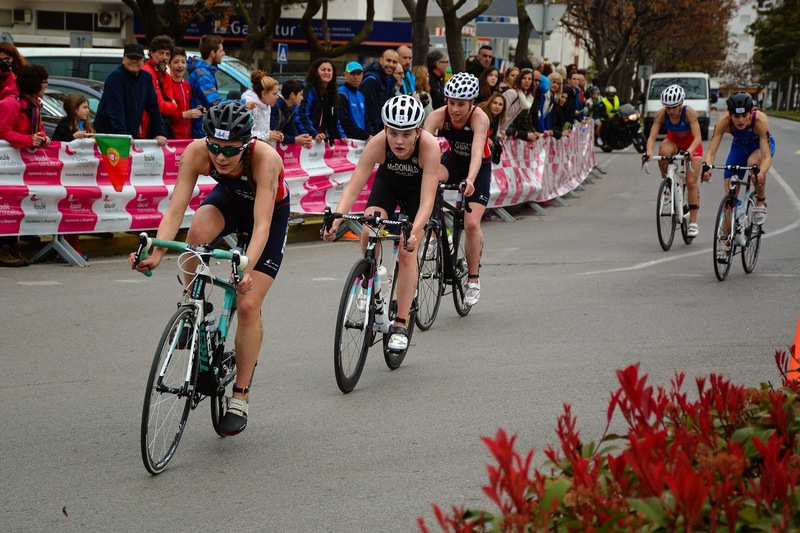 My first race was a Junior European Cup Triathlon. Winter training has been successful this year; I was in high spirits about my first race, feeling strong and positive. In regards to equipment I haven’t made too many changes, I am still wearing my amazing Huub Design wetsuit, which I love. But one big change is my new racing bike; I am now riding a ladies triathlon specific Liv bike with a ladies Fizik Donna 00 seat. My sponsorships are a huge benefit for me; they continue to encourage me to do my best. Whilst in Portugal we were able to watch the elite race as it was happening the day before the juniors. I took this as an opportunity to prepare myself for the race and spectate how the elites tackles the massive waves in the swim and u-turns on the bike..
My race was on Sunday morning with an early starting time of 8:45am. Whilst setting up my transition I couldn’t help but notice how many Liv Envie Tri bikes were there, the brand certainly stood out really well. At 8.30am we were ready to line up at the starting point, and of course, we did this to the music Pirates of the Caribbean, a theme song well known in triathlon as it is played before every race. At that point I was ready to race. As soon as the horn went I ran as fast as I could into the sea, the tide was out so there was a long run into the sea. I couldn’t help but notice the people to my left diving whilst I was still running. My start was strong but my goggles steaming up disrupted me and I my vision was so blurry I couldn’t see the buoy. Luckily after about 350m my vision cleared and I could see a gap growing from the front group and me. I knuckled down and tried my best to chase them down. I ended up exiting the water in 14th place and into transition. 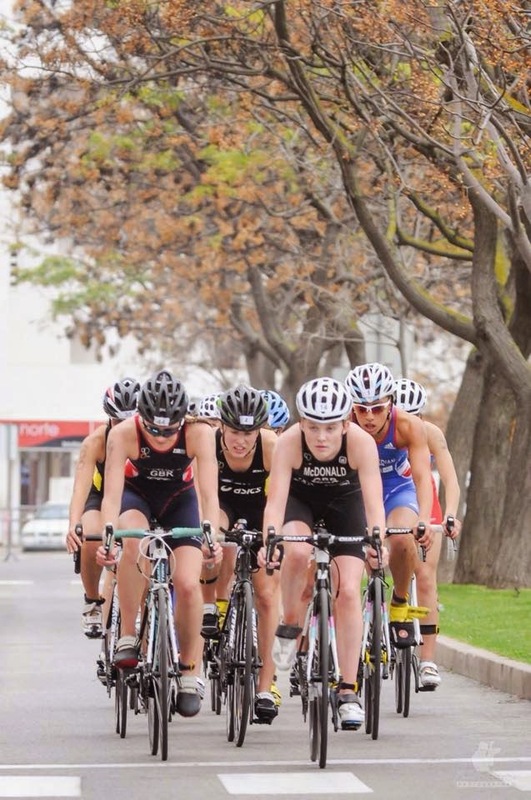 My Huub design wetsuit was quick to come off and with a solid jump on my Liv bike I was in the front pack. The bike pack had some strong runners in so I knew I needed to try and pick up the pace of the pack. I loved the bike course; it had 4 dead turns, a steep uphill, and a steep down hill with a 90-degree turn at the bottom. I tried to make sure I was at the front for the first downhill so I moved through the group and suddenly a massive bang came from behind, a crash on the first lap. I tactically tried to use the course to my advantage working out of every turn and powering down the downhill section. A couple of us did try and get the group working together after we were warned the second group time gap was closing down but it wasn’t responsive. So, I was one of a few working at the front. I did manage a breakaway of 20m but the French girls worked the group back. I organised myself well to be one of the first back to T2 in order to get a good start on the run. Unfortunately my legs didn't feel great, I had no spring in my step and felt very heavy, but I tried to do the best I could working well with Sophie and Olivia (GB athletes) on the first lap. After a 5k run and a sprint finish I finished 17th. I am very happy with the way I raced but just wish my legs were there for the run. It's a good start to the season and I have lots to work to do from now. Hopefully things can only go upwards. Thanks to Liv and Giant Uk, TheBike Yard, Extra Uk and Fiziks, Huub Design and Jaguar Academy, for all the support and help they are giving me.